Fragrant aromas of fresh strawberry, plum and vanilla are complemented by a hint of dried herbs. Ripe fruit, sweet oak notes and soft tannins on the palate. I went to Talay Thai Restaurant this evening for the first time. 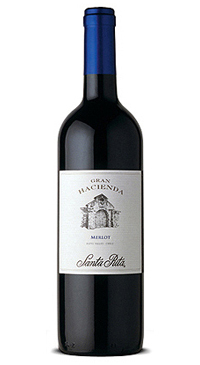 I ordered a glass of red merlot wine, and was served Gran Hacienda and fell in love with it. It has such a full bodied taste and I am so impressed. After returning home I decided to look for it on line. I googled NSLC who don’t have it, so further investigation led me to Bishops Cellar. I am impressed with this wine and will attend Bishops Celler on my next visit to Halifax.